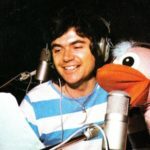 One of the most successful radio serials in Australia was ABC‘s Blue Hills. The daily 15-minute depiction of life in the fictitious country town of Tanimbla had an incredibly loyal following from the time it debuted in 1949. With television starting in 1956, it was only a matter of time before a similar concept was to be adopted by the new medium. It was to happen in 1967, when ABC announced plans to produce its first television serial, Bellbird. 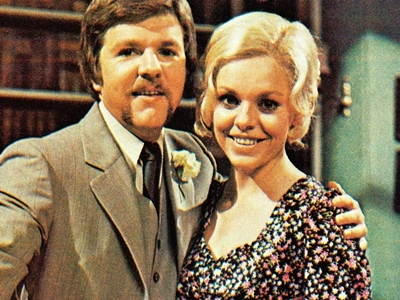 It was Australia’s first prime time soap — following some short-lived attempts at daytime serials from the Seven Network. Vernon was later joined by Alan Hopgood, Jeff Underhill and Michael Wright. 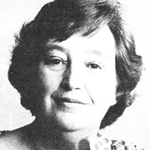 Hopgood, an accomplished playwright, was to eventually also star in the series. The series was based around the fictional country town of Bellbird. 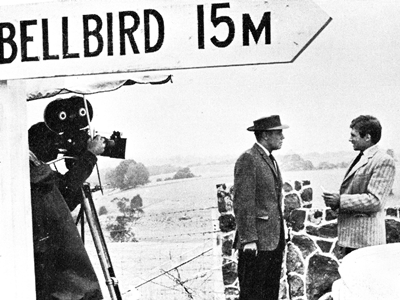 Early location filming to set the scene for Bellbird was conducted in the real-life town of Daylesford and at Eltham in Melbourne’s outer north, with an old house in the beach side Melbourne suburb of Brighton also used for outdoor filming. 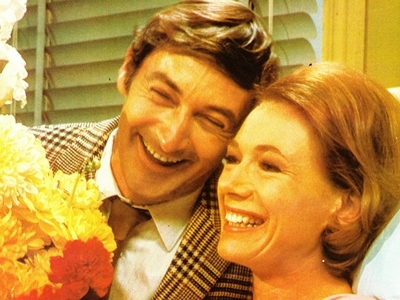 Among Bellbird‘s original cast were Bruce Barry (then appearing on stage in the production of Funny Girl and also featuring in a series of cigarette commercials), Elspeth Ballantyne, Robin Ramsay and his American wife Barbara, Brigid Lenihan (who had to withdraw from the series after making the pilot), Lynette Curran, Anne Lucas, Raymond Westwell, Clive Winmill, Sydney Conabere and Joan McArthur. Bellbird made its debut at 6.40pm on Monday 28 August 1967. 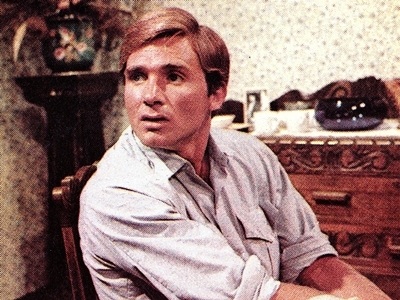 The opening episode featured city schoolteacher Michael Foley (Barry) taking up a posting in Bellbird. 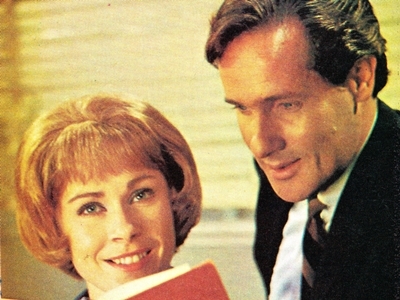 Foley’s arrival prompts gossip when it becomes known that he is to board with the town librarian, the young and single Lori Chandler (Ballantyne). 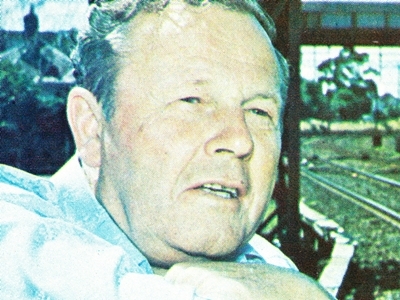 Less than two months into Bellbird‘s second season, the character of real estate agent Charles Cousens (Robin Ramsay, pictured) was to be written out. Ramsay had accepted an offer to play Fagin in a Japanese stage production of the musical Oliver! While news of Cousens’ tragic accident was to be a guarded secret, Ramsay accidentally let it slip when talking to a reporter upon his arrival in Japan — not expecting the news to get back to Australia. Because the news was now out, TV Times ended up running a “spoiler” that Cousens was to meet an untimely end, but gave no indication as to how. The following week fans watched in horror as Cousens fell to his death from atop a wheat silo. The tragic exit sparked an incredible reaction from viewers — with ABC switchboards inundated with phone calls and letters from upset fans. One Perth viewer threatened to come to Melbourne, where the show is made, to “do something about it”. 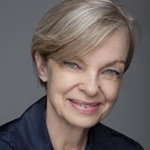 Lynette Curran, who played Rhoda in the series, found that a storekeeper refused to offer her service in protest at the shock exit of Cousens. 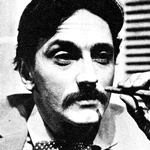 The death of Charles Cousens was to be the one single storyline that would come to be the show’s most memorable. 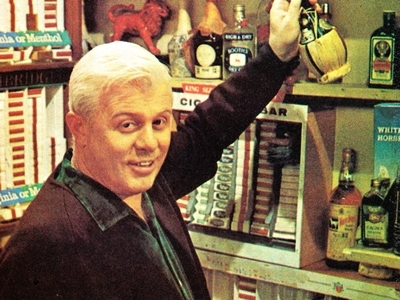 Bellbird continued in its 15-minute episode format for most of its run — although viewers constantly bemoaned the limited airtime. Its unusual timeslot, 6.40pm, made it a difficult sell to capital city viewers, but in the country it was a popular ritual to watch Bellbird leading up to the ABC news at 7.00pm. By the end of 1975, Bellbird was reported to be on its last legs. Writers had simply run out of storylines for the close knit community, apparently. 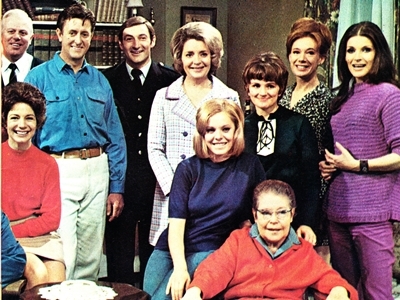 Despite the rumours, ABC kept the show going into 1976 but in a new format — one 60-minute episode a week instead of the traditional four 15-minute episodes. This was not well received by fans and by the end of the year ABC decided to expand the series to three half-hour episodes a week. This expansion to the show’s output was seen as a positive investment in the series by the broadcaster but it was to be short-lived. 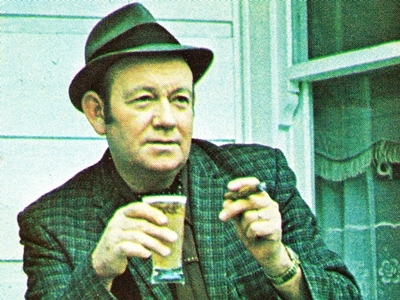 The radio serial Blue Hills had come to an end in 1976. As past and present cast of Bellbird were celebrating their show’s 10th anniversary in September 1977, they were to learn that ABC had dropped the series. Production was to wind up in November with the last episodes going to air before the end of the year. Cast members who only 12 months earlier had spoken lovingly of Bellbird for providing them a level of job security were suddenly about to be unemployed. To its credit, at the time no other serial drama in Australia had managed the longevity of Bellbird. Commercial network success stories such as Number 96 and The Box coincidentally were also coming to an end during 1977 after six and four years respectively,. With Bellbird finished up by the end of 1977, ABC had announced a range of new titles for the year ahead: Twenty Good Years, the story of a Melbourne family spanning two decades from 1956; All The Green Year, based on the novel by author Don Charlwood; a children’s series, Nargun And The Stars; and The Truckies, starring Michael Aitken, John Wood, Colleen Hewett and Michael Carman. 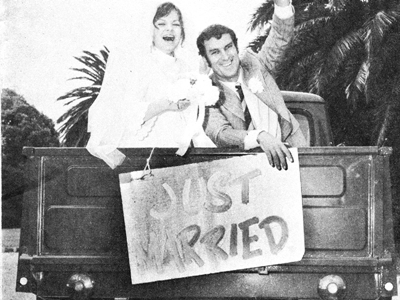 Bellbird remains to this day the ABC’s longest-running drama series, having clocked up almost 1700 episodes over a ten year run. 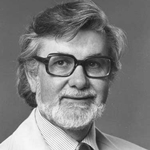 James Davern, a former Bellbird producer who ironically was later part of the ABC management that axed the show, years later went on to develop and produce Australia’s next successful rural-based soap, A Country Practice, that ran for 12 years across the Seven and Ten networks. Source: TV Times, 1 March 1967, 15 March 1967, 5 April 1967. 5 July 1967, 23 August 1967, 10 February 1968, 30 March 1968, 22 May 1968, 12 June 1968, 22 April 1970, 11 December 1976. 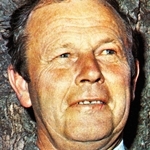 24 September 1977, 1 October 1977. 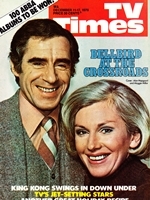 TV Week, 30 August 1969, 14 November 1970, 5 May 1973. 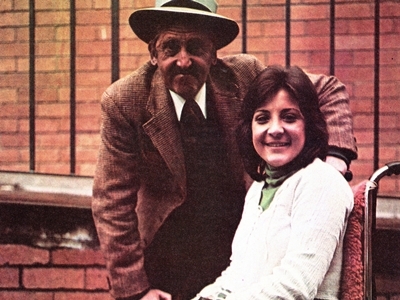 Listener In-TV, 11 October 1975. That was a terrific summary and I have some memories of Bellbird. Do we know what exist of Bellbird?